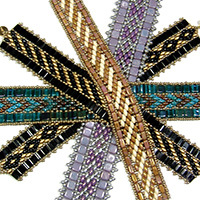 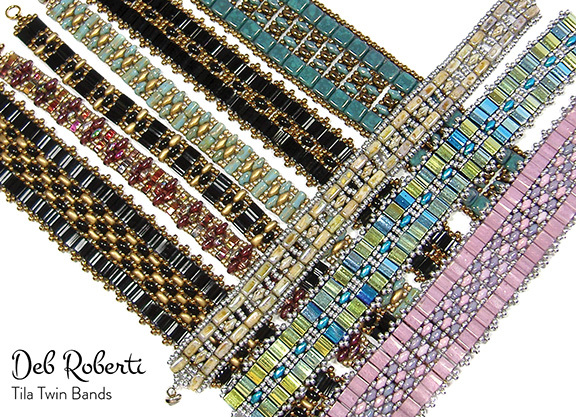 A trio of bands made from seed beads and an assortment of two-hole beads! 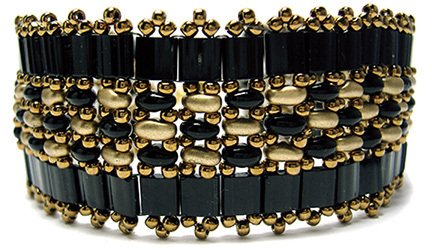 NOTE: This pattern was originally written in 2012 before Half Tila, SuperDuo, MiniDuo, Rulla and Czechmates tile and brick beads even existed but I updated the current version in 2018 to include examples and directions for bands created with these two-hole beads. 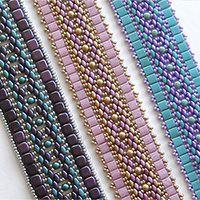 Approx Finished Size: Width varies, depending on which beads you use, and length is as needed. 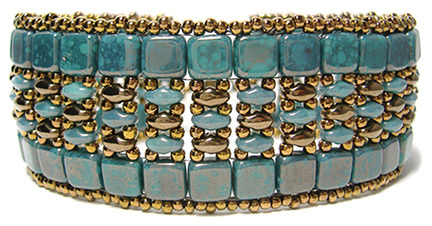 • About 56 Czechmates Tile beads: Persian Turquoise Moon Dust (discontinued, sorry). 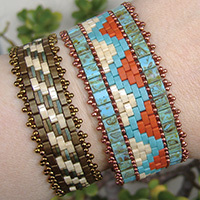 A lovely substitute would be Bronze Picasso Teal.